DIY - Sleep Over fundraiser! 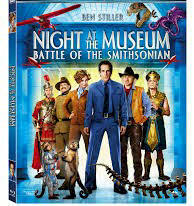 Natural History in New York City and the National Museum of Natural History in D.C. – the backdrops for “Night at the Museum” and its sequel – are hot tickets that can sell out months in advance. Programs at other museums can often have shorter waiting lists. What can you expect? In general, museum overnights are aimed at the 6-to-12 crowd, but be sure to check the age range at each institution. Count on paying between $100 and $140 per person and bringing a sleeping bag, flashlight, and sense of adventure. Okay, your group may not have quite as an exotic option as this but do you have access to a facility that would appeal to people. Other groups have used a new jail facility, aquarium, zoo, library, etc. Put your thinking cap on!